A novel potentiometric sensor based on molecularly imprinted polymer (MIP) for propranolol, an adrenergic-blocking drug, was designed. The influence of molecularly imprinted polymer particle content and sodium tetraphenylborate additives in polyvinylchloride membrane was shown. The electrodes show near-Nernstian responses down to 10−4–10−5 M propranolol concentration. The potentiometric response of MIP-based sensor for propranolol in mixed nonaqueous medium was shown at first. Sensor selectivity relative to various inorganic cations, atenolol and metoprolol, was reported. 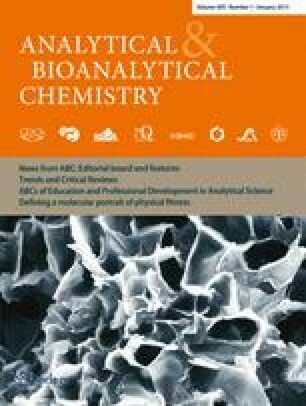 Direct potentiometry was used to determine propranolol in aqueous modeling solutions and pharmaceutical preparations with good results. We gratefully acknowledge the financial support from the Swedish Institute via the Visby short-term research stay program and Ukrainian government via the International internship program.